Doc. Vlastislav Matoušek Ph.D. (1948) studied Composition and post-gradual courses in Musical Theory at the Academy of Performing Arts, the Faculty of Music in Prague where he has been teaching ethnomusicology since 1991. There he received his Ph.D. degree in theory of composition. 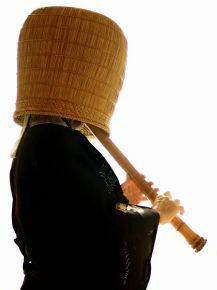 Six months as a fellow of Japan Foundation he studied shakuhachi (Japanese bamboo flute) playing at Master Kifu Mitsuhashi and Japanese Traditional Music at Prof. Osamu Yamaguti in Japan (1996). 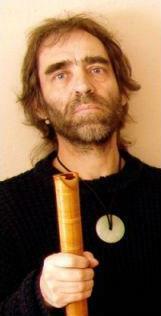 In his ethnomusicology research he focuses on Extra-European Cultures, exotic and folk musical instruments, rhythm and kinetics (book Rhythm and Time in Ethnic Music –Togga, Prague 2003). He has been active as a musical journalist, especially with the Czech Radio in Prague. He is the author of extraordinary original art-music compositions, often with the participation of exotic instruments and electronics. He prefers non-traditional means of expression and compositional procedures. As a soloist concert performer he mainly plays honkyoku – traditional pieces for Japanese bamboo flute shakuhachi (CD Calligraphy - Angel 1999, CD Taki ochi – Arta Rec. 2003, CD Calligraphy II - Nextera 2004). 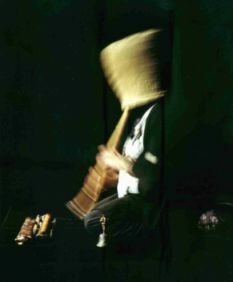 He is an art-director and a conductor of his contemporary music Ensemble 108 Hz which presents experimental music and his own compositions for voices and other even exotic and folk instruments from his personal extensive collection, often in combination with electronics (CD Shapes of Silence - Transmusic 1994, Nextera 2006). He sings and plays Gothic and Renaissance music from Czech sources (Codex Franus, Specialnik etc.) and Eastern-Czech folk music on the historical Czech "moldánky" bagpipes, hurdy-gurdy, hackbrett, gemshorn, shawms, platerspiel and other ancient and folk instruments with his own family ensemble Schola Specialis Familiae. Since 1979 he has been playing meditation and Orient inspired music on percussion and various other ethnic instruments (especially Indian tabla and various folk flutes) in the group Relaxace (CD Dhjána, CD Kadael, CD Czech Koan, CD Morning Prayer, CD Indian Inspirations etc. ).